TS100 Soldering Station #3DPrinting #3DThursday « Adafruit Industries – Makers, hackers, artists, designers and engineers! sunbart shared this project on Thingiverse! 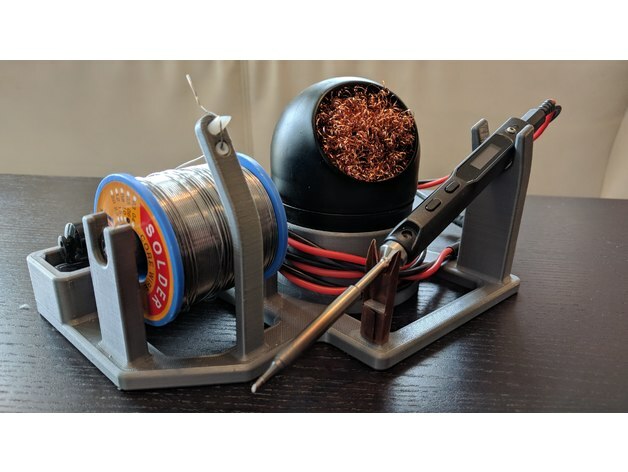 A stand for the wonderful TS100 soldering iron, with a place for a copper wire tip cleaner, a spool of solder and a small tray for tweezers and a flux pen.